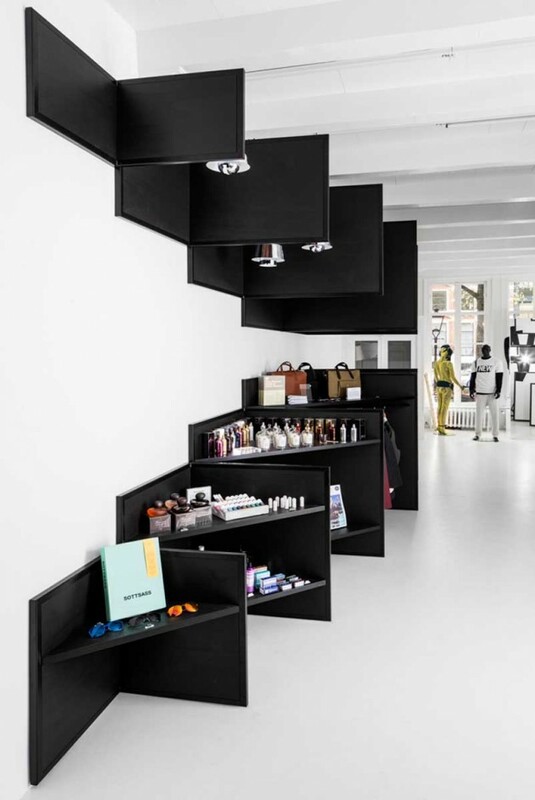 i29 Interior Architects have recently completed a retail store for FRAME Magazine in Amsterdam. Having successfully opened a temporary store earlier this year, Frame Magazine decided to continue at a new location. 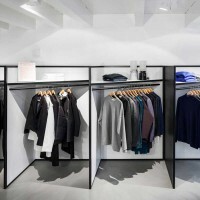 i29 interior architects where asked again to design their retail environment. At Felix Meritis, the monumental ‘Zuilenzaal’ was transformed into a mirrored universe to reflect and intensify its grandeur. There could not have been more contrast with the new location at Herengracht 178, a serene completely white space. 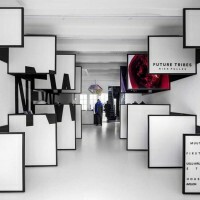 Again, the Frame Store should offer a three-dimensional experience of the magazine – a creative and innovative universe that surprises and inspires. 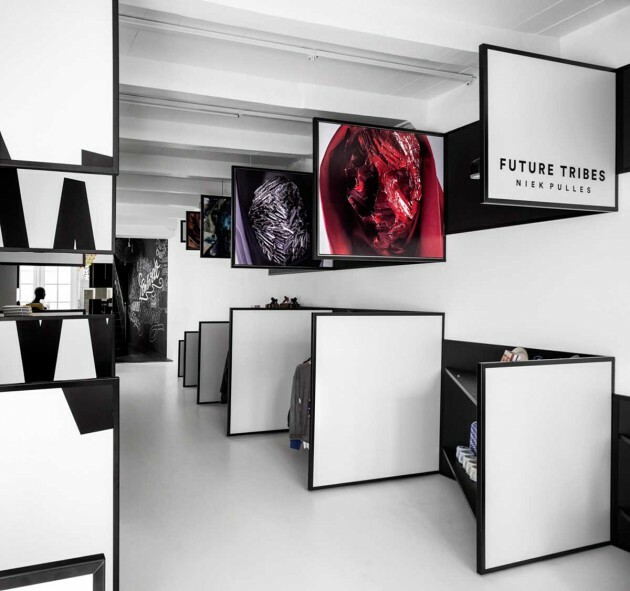 Working within a totally different context, i29 interior architects proposed a radical concept; two shops in one, two contradictory experiences in one space. 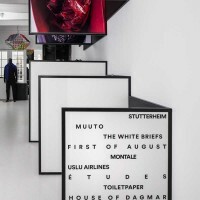 One white and rectangular installation versus one black and diagonal; A white museological experience apposing a black shop experience full of products. 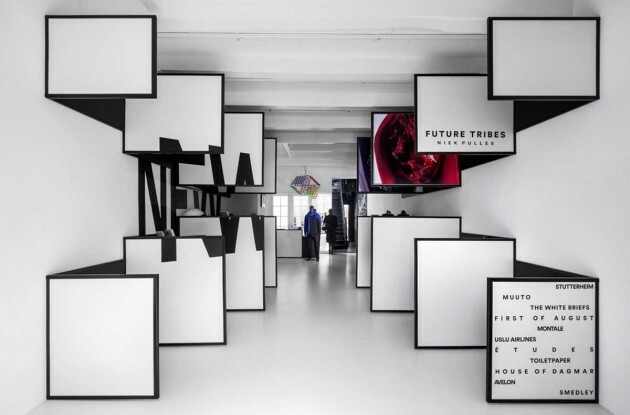 Frame store works in the intersection between art, design, architecture and fashion. The interior design is based on the changeability of such a diverse shop. Flexibility and being able to change the store identity completely was our main focus. 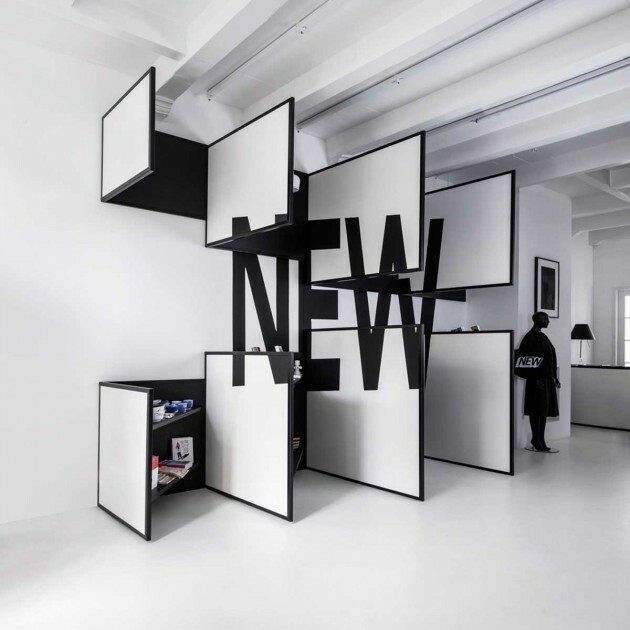 Seen from the front, an installation of white panels and black frames floats in the all white space. Hanging from walls, floors and ceiling these panels intend to function as a white canvas. The content of this ‘canvas’ can be changed as all front panels are easily replaceable. Personalized presentations on particular themes can be exposed. The use of text and graphic art linking back to the magazine’s origins. But also enabling artists to be invited by FRAME Magazine to completely make over the environment. Looking from back to front, the shop offers a totally different experience; triangular shaped display boards in black stained wood show the actual products behind the front panels. The contrast of these two worlds within one shop surprises. In order to enlarge and amplify this contrast, all choices made are contradictory: black versus white, square vs triangular and empty vs full. During the opening party, conceptual artist Niek Pulles presented a series of masks called Future tribes. Detailed portraits of these artworks where also displayed at the front panels. 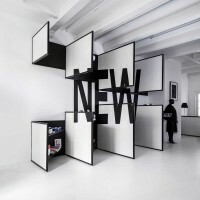 Also the grafic opening installation ‚new’ was displayed over several panels playing with the multi dimensionality. Both presentations clearly show the impact and possibilities of the approach combining 2d and 3d presentation in one store. The new Frame store again offers a sensory experience. With only a few steps beyond the canal house’s ground level entrance, a two-tone graphic spanning the height and length of an interior wall is exposed as a three dimensional installation. 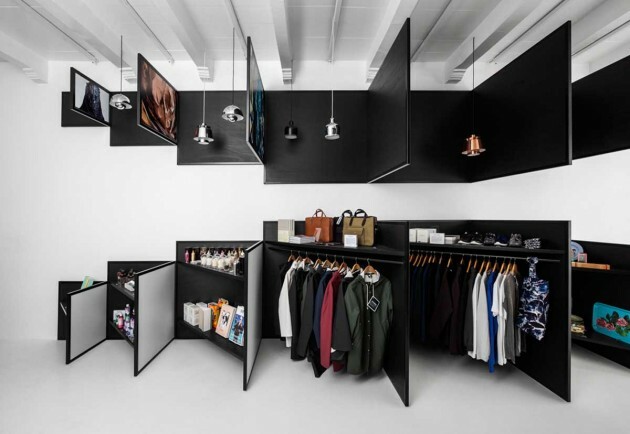 An optical illusion comprised of triangular compartments conceals stacks of magazines and racks of fashion. Illuminated pendant lamps suspended from the ceiling are shielded by the upper tier of the graphic. ‘The interior speaks a totally different language (then the first store) because the interior space is so different. Conceptually, however, I think it’s at least as strong.’ Robert Thiemann, director Frame Magazine.